Casey and Amy McGuane (formerly of Stow) hosted an Engagement Party in their home in Guilford, Connecticut for Casey’s brother Ryan McGuane and his fiance, Kayla. 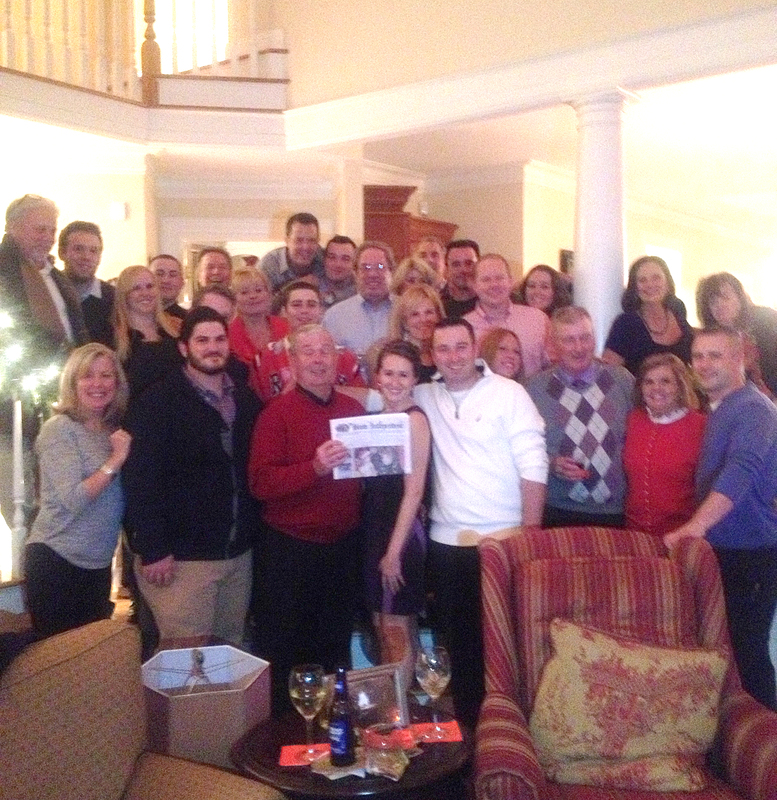 Family and friends from Stow attended and brought their Stow Independent along to show the newly engaged couple the latest news from Stow. 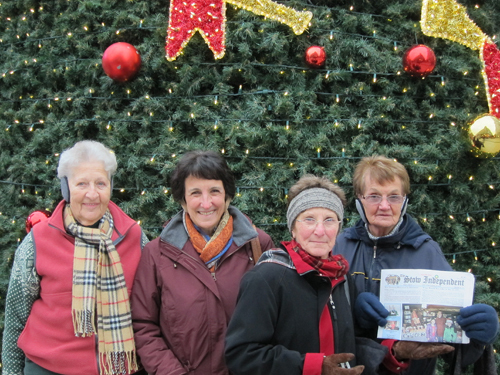 Beverly Benoit, Lynne Sauta Bassett, Switzerland, Connie (Sauta) Coffin, Rochester, NH and Betty Sauta at one of the Christmas Marts in Praque along with the Stow Independent. Also visited Dresden, Nurnberg, Chemnitzer, France and Switzerland. The weather was cold and snowy, but everyone enjoyed the Christmas marts, train rides, the beautiful scenery and especially the food. 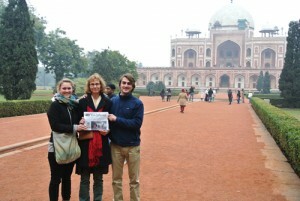 Lauren, Ingeborg, and Taylor Clark visited India at the end of December. Here the Clarks, with the Stow Independent, stand before Humayun’s Tomb in New Delhi, where the Obamas toured when they visited. The Tomb was built in the mid-16th century by Haji Begun for her husband, Emperor Humayun. The tomb includes 12 hectares of formal gardens. It was the intent to develop the tomb and the grounds to eventually create the magnificence of the Taj Mahal, which the Clarks also visited. While taking photos in the Lower Village Cemetery for a project, Stow resident Marilyn Zavorski snapped this shot showing the stones from the 1700s of four members of the Whitman family. Left to Right: Mrs. Margret Whitman, died October 16, 1758 at age 66, 3rd wife of John Whitman; Mrs. Dorcas Whitman, died October 26, 1718 at age 34, 2nd wife of John Whitman; John Whitman Esquire, born in Hull in 1688, lived in Stow nearly 70 years; died August 3, 1772 about age 84; Mrs. Mary Whitman, died Nov. 24, 1716, at age 17 years and 9 months – 1st wife of John Whitman. 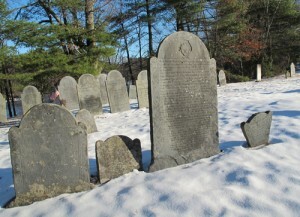 Zavorski noted that son Jacob was born Nov. 17, 1716 – a week prior to his mother’s death.